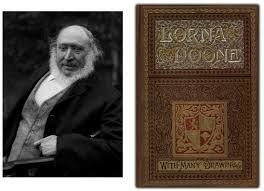 Lorna Doone- A Romance of Exmoor is a novel written in the Victorian Era by Richard Doddridge Blackmore. 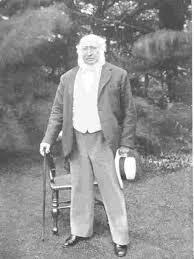 The novel was first published in 1869 and is often considered as a fragment of the British history of that time. Even though there are no historical pieces of evidence available to find the truth in the story of the novel, there are many true historical events that play a key role in moving the plot of the novel further. 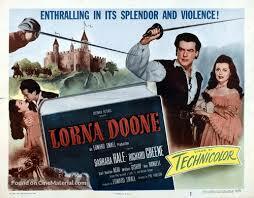 The novel is a first-person narrative of the life of John Ridd and his efforts to marry his lady love Lorna Doone. While is an eligible young man who has the responsibility of revenging the death of his father, Lorna is an ideal Victorian beauty who belongs to the Doone clan, the family that had killed John’s father. The novels open with descriptions of John and Lorna and establish them as completely flat characters and the protagonist couple of the story. After finishing school, John grows up with hatred for the Doones because they had killed his father. However, when he meets Lorna by chance, he is immediately attracted to her and they fall in love with each other. As the story progresses, new and important characters are introduced, the most important among them being Carver Doone. Carver emerges as the antagonist of the story, a man who is the biggest obstacle between Lorna and John. It is because he is the future leader of the Doone clan and his wedding with Lorna has already been fixed. He emerges as the villain in the love story who wants to marry Lorna not because of his love for her, but because he knows that Lorna is the heiress of a rich family. Apart from this, there are a number of minor characters that help in taking the story forward as various events in the history of England unfold. There are a number of themes that have been used by Blackmore in the novel, but the most important among them is social class and love. The main characters of the story, Lorna and John are deeply in love from their very first meeting and their romantic relationship forms the basis of the entire struggle that they go through. However, their love is forbidden due to the sour relationship between their families. The episode when the necklace reveals the true identity of Lorna and proves that she is not one of the Doones but a rich heiress, the walls of social class difference between them gets much higher and their love is forbidden more than ever. But, just like any ideal romance, accomplishing his love and living a happy life with Lorna is the only objective of John. One of the most convincing parts of the novel is the way in which the geographical locations have been used. There are two major locations in which the events of the novel unfold- the countryside of Exmoor and the city life of London. Both these locations have a character of their own and the place where the characters belong to reveal a lot about their behavior. The Exmoor area is a wild countryside and so are the characters who belong to this area, wild, fierce, robust and passionate. They reveal their character traits in the very beginning and nothing much changes in them as the novel progresses. London, on the other hand, is the capital city and symbolizes wickedness and politics. The characters that John and Lorna meet in London also resonate the environment that they live in and are presented in a greyer light than the others. A fine example of this can be seen in terms of the trip that John takes to London when he is called to serve the interests of the king. He refuses to get into the political mind game and returns to Exmoor without a single penny earned or spent. Overall, the novel is a perfect read for developing an understanding of the social conditions of England in the era in which it has been set up. The characters are stereotypes- good or bad, powerful or weak, intelligent or foolish and they remain the same in most cases throughout. However, the beautiful backdrops of the British countryside and their households manage to draw a vivid picture that is enough to provide a good experience to the reader. Blackmore has presented himself as a master of words and there are very few details that he misses. The scenes where John and Carver battle each other are full of adventure and the average reader will be drawn by an urge to see John emerging as a winner at the end of each one of them. Overall, the novel is detailed and elaborate and the readers can find themselves flipping through the pages waiting for the time when the struggles of Lorna and John will come to an end and their love will be accomplished. Due to its descriptive nature, the novel has been adapted into movies many times.